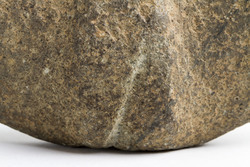 The greenish gray of the unfinished bannerstone is evident beneath the patina in the perforation as well as along the diagonal gash on the stone. The partial 0.4 cm perforation was made with a solid wood stick instead of cane. 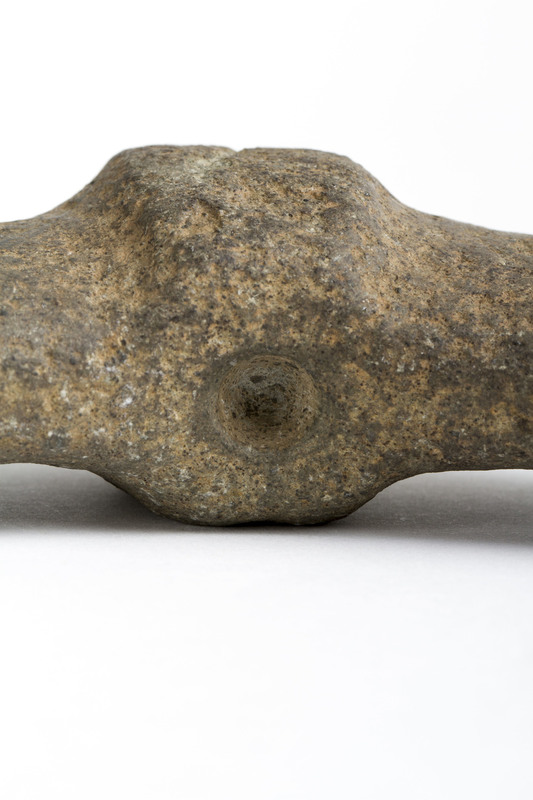 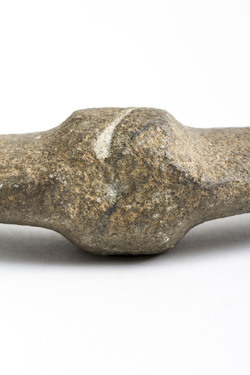 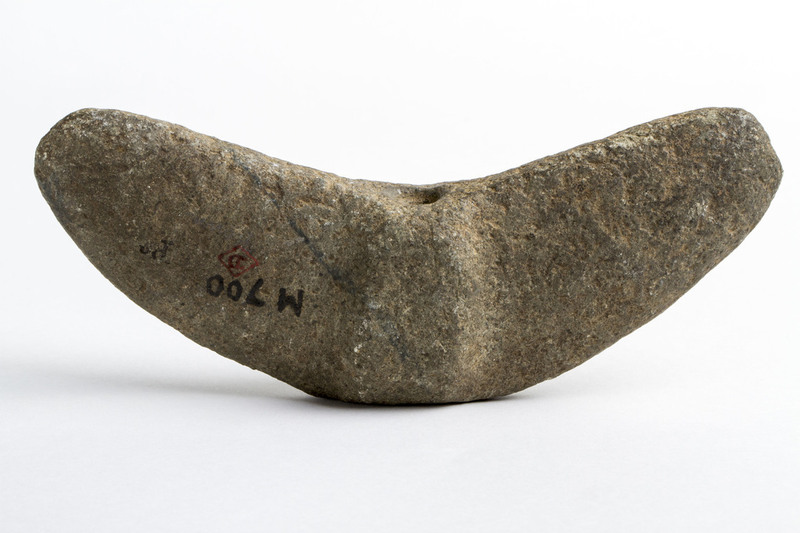 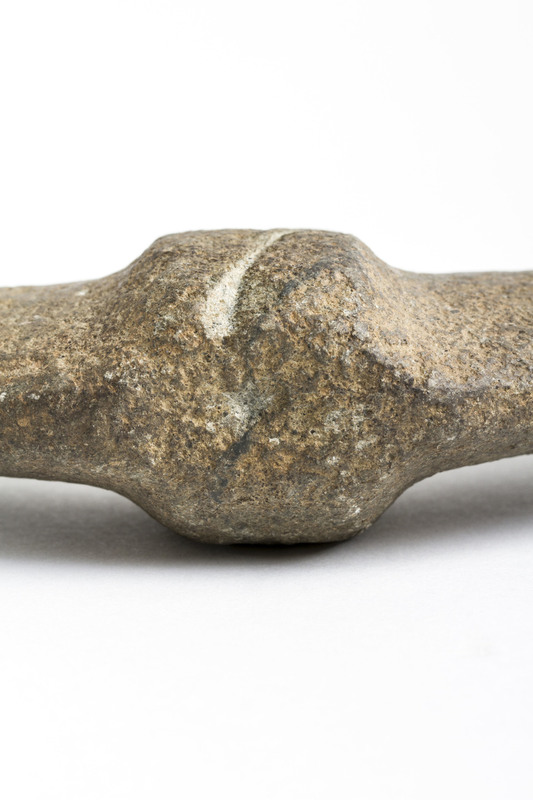 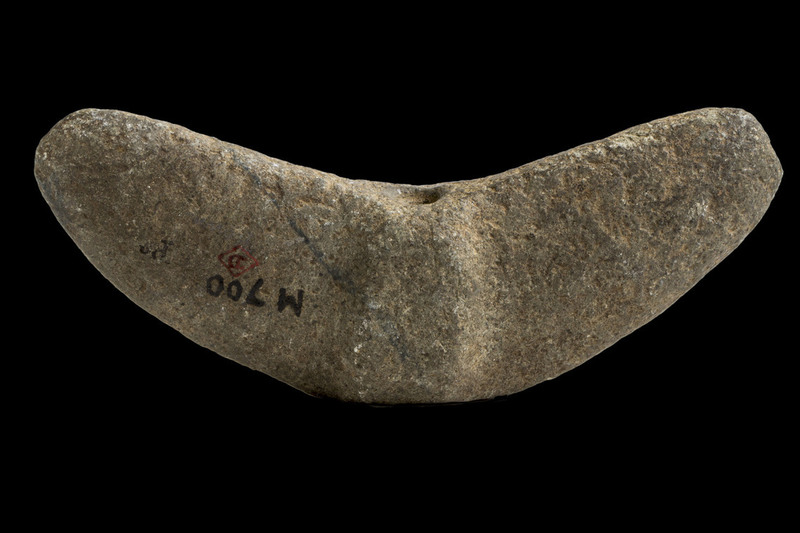 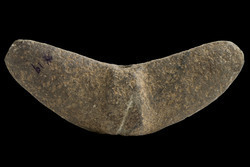 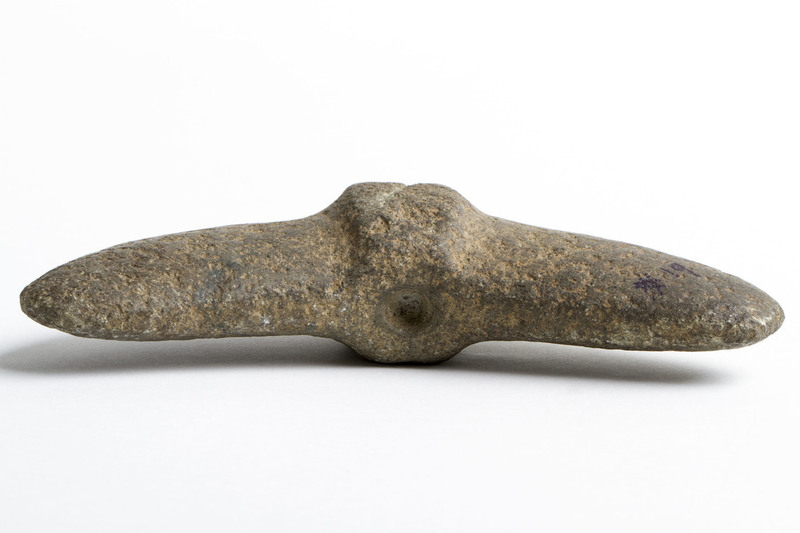 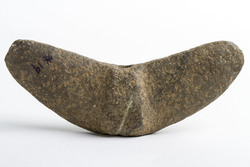 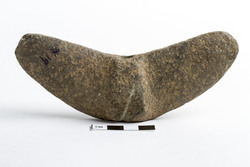 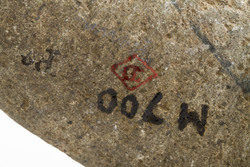 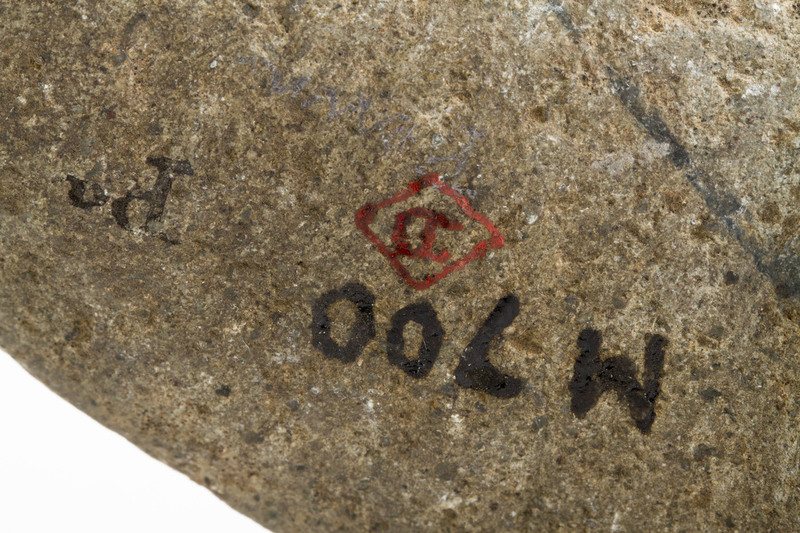 “AMNH DM/700,” FIT Archaic Bannerstone Project, accessed April 25, 2019, https://bannerstone.fitnyc.edu/items/show/104.